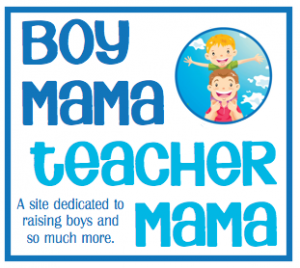 ← Teacher Mama: Happy Birthday Earth! 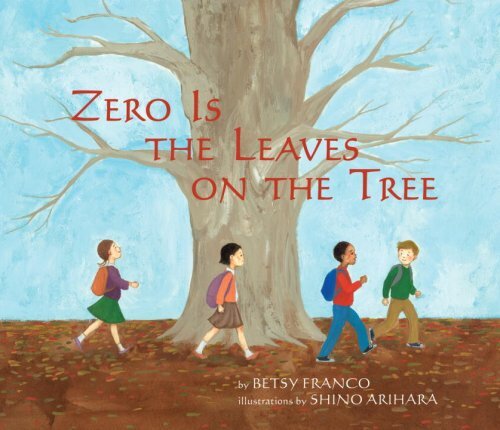 We don’t spend much time thinking or talking about the number zero or the concept of zero with very young children mainly because zero is not a counting number. And, many adults simply assume that children have an understanding of the concept of zero, but that is not always true. So, here are a few books to read with your child that explain the concept of zero in a child-friendly way. Note: There are two uses for zero and they are very different from one another. The first use is as a place holder when there are no hundreds, tens, ones etc. in a number. Look at the number 3,507 for example. Without the zero, the number would be 357 which is very different from 3,507. The second use is the number 0 as itself or as a representation of the value of nothing. 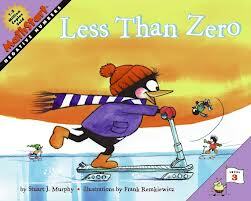 Zero may be difficult to count, but with help from this book, it becomes something every child can understand. I love the simplicity of this book–it is simply a collection of examples of something that is not, of zero! 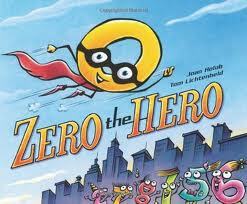 After reading this book encourage your child to find examples of zero is his own world. Amazing discoveries to be found! 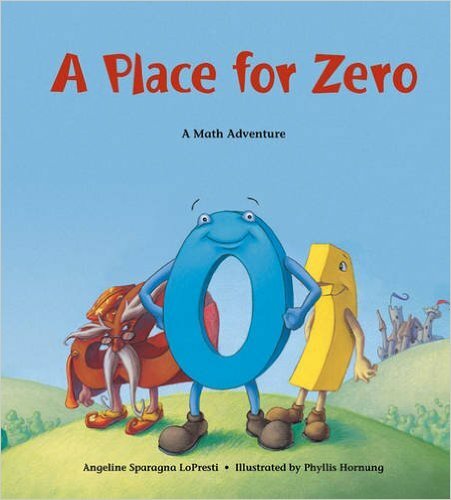 This book is not only a good for teaching the value of zero, but also for teaching children the value of friendship. This is book is hilarious! The humor is perfect for slightly older children as well as adults. 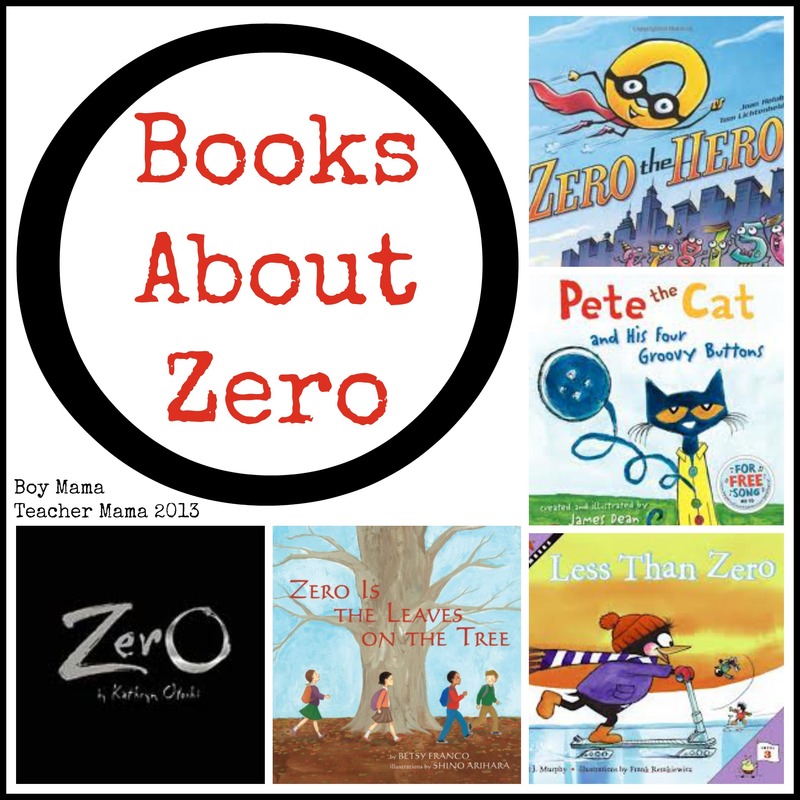 Zero has renamed himself, “Zero the Hero,” but soon realizes that his number friends don’t need him nor do they really respect him. So he takes off to “infinity” or “oblivion” and leaves his friends behind. Finally, the other numbers realize that they did indeed need zero and began to miss their friend. Then one day, while wallowing in their sorrow, they were attacked by the Roman Soldiers (Roman Numerals). From far away, Zero heard his pals’ call for help and he swept into save the day. We are huge Pete the Cat fans in our house and I think this one may be my favorite. 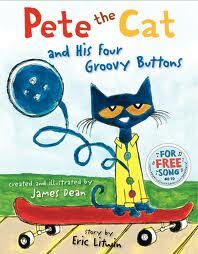 Pete the Cat has four groovy buttons and one by one they fall off leaving him with zero buttons, “but does Pete cry? Goodness no!” He just keeps on singing his song! Eventually all of Pete’s buttons fall off, but luckily, he is still left with one very special button! Zero is lonely in the land of Digitaria. He can’t play with the others because he has nothing to add. What will he do? 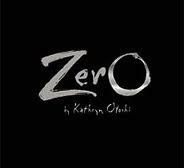 Do you know any good books about zero? Please share! My son was obsessed with Zero the Hero for weeks! We read it a zillion times. Thanks for sharing at The Children’s Bookshelf, I hope you join us again when we return in September. What a great concept for a book list. All new to me. Thanks. I’ve got one more for you that we found last year on a trip to ME. Zero, Zilch, Nada by Wendy Ulmer. Nice! Hey if you really want to confuse the little ones with Zeros check out Curious George The Donut Delivery.